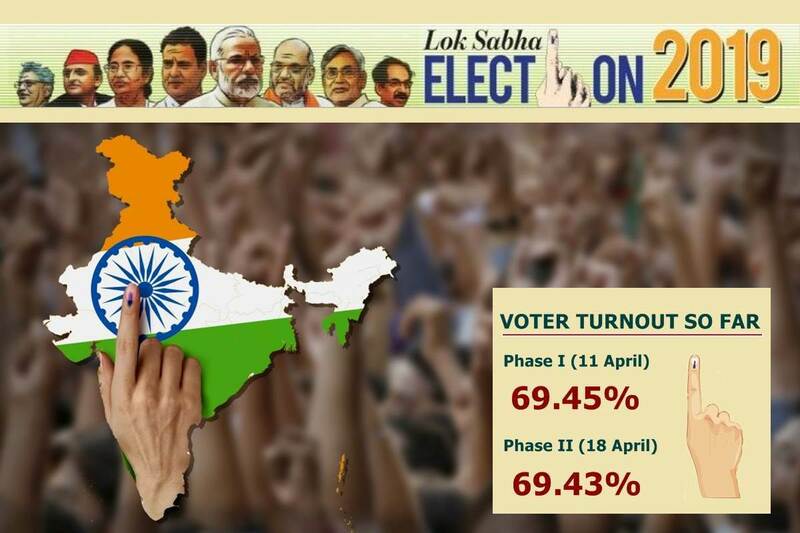 Lok Sabha Elections 2019 News Live Updates: As many as 117 parliamentary constituencies are going to polls in the third phase on 23 April, Tuesday, and tomorrow’s election will see some very interesting contests. BJP has fielded party president Amit Shah from Gandhinagar, and the constituency will see some very very important people exercising their franchise on Tuesday. Prime Minister Narendra Modi is learnt to have reached Gandhinagar already, and will cast his vote at Nishan School in Ranip area of Ahmedabad at 7.30 am. Most areas under the Gandhinagar Lok Sabha constituency are in Ahmedabad city. The BJP had won all 26 seats in Gujarat state in 2014 Lok Sabha polls. Among the other important seats going to polls on Tuesday is Kerala’s Wayanad from where Congress president Rahul Gandhi is trying his luck. Polling will be held in 117 seats across 15 states and union territories including the Tripura East seat where voting was take place in the second phase but was deferred over security concerns. All 26 seats in Gujarat, 20 seats in Kerala, two seats in Goa and the lone seats of Dadra & Nagar Haveli and Daman & Diu will be voting on Tuesday. Besides, the third of the seven-phase election will see polling in four seats in Assam, five in Bihar, seven in Chhattisgarh, one in Jammu and Kashmir, 14 in Karnataka, 14 in Maharashtra, six in Odisha, 10 in Uttar Pradesh, and five in West Bengal. Ahead of the third phase of polling, stay tuned to our live blog for latest Lok Sabha elections 2019 news updates.